Professionals, Craig Lawrie (Paul Lawrie Golf Centre) and Ross Cameron (Saltire Energy), coped with very windy conditions a lot better than the majority of the field of 91 players to tie for victory with three-under-par 69s over Newmachar Golf Club's Hawkshill course today (Wed). Lawrie had an eagle 3 at the eighth and birdies at the second, third, seventh and 13th in halves of 34 and 35. His sub-par holes helped to offset a double bogey 6 at the fourth and a bogey at the fifth. Cameron, pictured, achieved his 69 (34-35) without a single bogey - a notable achievement, given the strength of the wind - and birdies at the sixth, eighth and 13th. "I didn't hit every fairway but I felt in control of my game despite the conditions," said Cameron. The joint winners earned £125 each. Craig Lawrie's cousin, Sean Lawrie made it a professonal 1-2-3 finish with a one-under 71 (36-35) despite a double bogey 6 at the 13th and earlier back-to-back bogeys at the fourth and fifth. Sean had a bag of five birdies, including a hat-trick of gains at the last three holes. Last week's winner, John Duff, could not repeat that performance over his home course but he finished joint fourth with another pro, Sam Kiloh (Paul Lawrie Golf Centre), on the 72 mark. 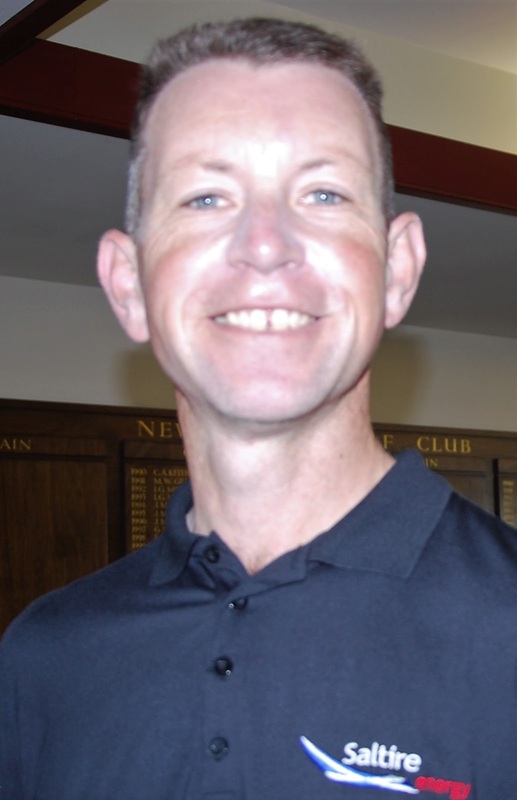 Good effort in the testing condtions - there were 15 No Returns - by Kemnay five-handicapper Donny Adam to win the £60 top voucher in the Handicap Class 1 section with a net 69, which included bogeys at the first and second in his gross round of 74. Course in very good nick, particularly fast, true-running greens. 69 C Lawrie, R Cameron (£125 each). 69 D Adam (5). 72 D Templeton (5). 74 S Wallace (3) bih, J Nicolson (3) bih, Phil Morrison (6). 78 R Ruddiman (9) bih, C Cassie (9) bih, D Lane (10).